The PCMA meeting offered Freeman XP Touch, a second screen experience that appealed to Millennial attendees. Attendee engagement is a must at any B-to-B conference, especially for the millennial generation, those people born between 1980 and 2000 who are showing up in increasing numbers and giving business gatherings a different perspective. When this crowd attends keynotes and breakout sessions, they’ve typically got one eye on the speaker and the other on their personal device. They’re socially connected and socially conscious, and smart meeting organizers are planning their conferences with them as well as their traditional attendees in mind. 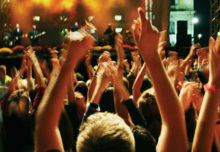 One organization finding success connecting with millennials is the Professional Convention Management Association (PCMA). Its annual meeting, which took place Jan. 10 to 13 in Vancouver, drew about 4,000 attendees, primarily convention planners and the cities that host them. Over the past few years, the PCMA has seen an increase in the number of millennials who attend, which is having an impact on the design of the conference. 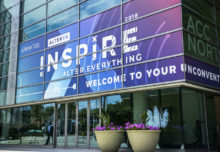 “I think that shift is infusing what we do, it’s why we are innovative and why we take risks,” says Kelly Peacy, svp-education and events at PCMA. Here’s a look at how three of those risks played out for PCMA in Vancouver. One involved coloring books and a substance called Thinking Putty. And, of course there were ample opportunities for selfies. Millennials typically aren’t shy about voicing their opinions, so before the conference the PCMA asks what they want to get out of the conference and how. “We ask members what they would like to see, what we should try on their behalf. And as we go out to our members and into this industry, this large pool of younger people is infusing their opinion into the design of the event. If we try and it doesn’t succeed, that’s okay. 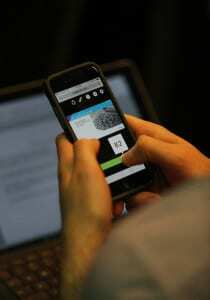 At least we learned from it,” Peacy says. 2. Tap their creative side. PCMA’s conference offered traditional breakout session learning experiences, but in addition to those classroom-like settings, the two floors of the convention center offered spaces like the Learning Lounge, an open learning environment that facilitated informal conversations and discussion, and a Global Coffee House set up with an open mic environment for delivering content. 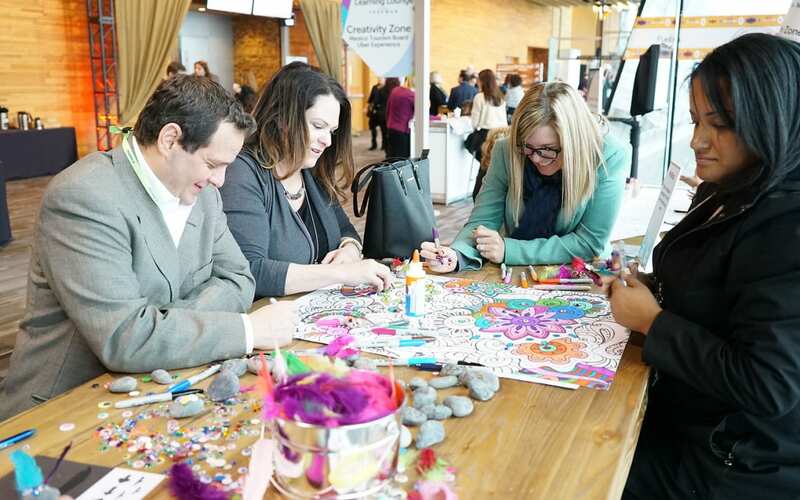 There were also creative zones where attendees could color, or create their own Pet Rock (remember those?) and mold Thinking Putty into shapes. “I think it is all about creating those experiences for them to find and decide for themselves if they want to engage in them or not. This group of people really, really wants to feel that they are special, that they can customize the experience for themselves, and they are looking for opportunities to experience and engage with the educational content in different ways,” Peacy adds. 3. Get techy with them. Millennials, as we know, are constantly on their devices, texting, tweeting and checking emails, and PCMA came along for the ride with Freeman XP Touch, a second screen experience it added to the conference that provided attendees content they wouldn’t otherwise have access to right to their phones during the sessions. “Providing an opportunity for them with the technology they are used to was another big enhancement to the event for us,” Peacy says. Another enhancement was Tech Central, an area incorporated into the Learning Lounge space, where attendees learned how to update their LinkedIn profiles and participated in clinics. “We created these intentional serendipitous environments where people can find other people and connect with content that is different from the traditional classroom, and millennials could take advantage of that if they wanted to.” Agency: Freeman, Dallas.